Seeing first hand how house fires start due to problems associated with DC isolators, safety in a solar system was paramount. 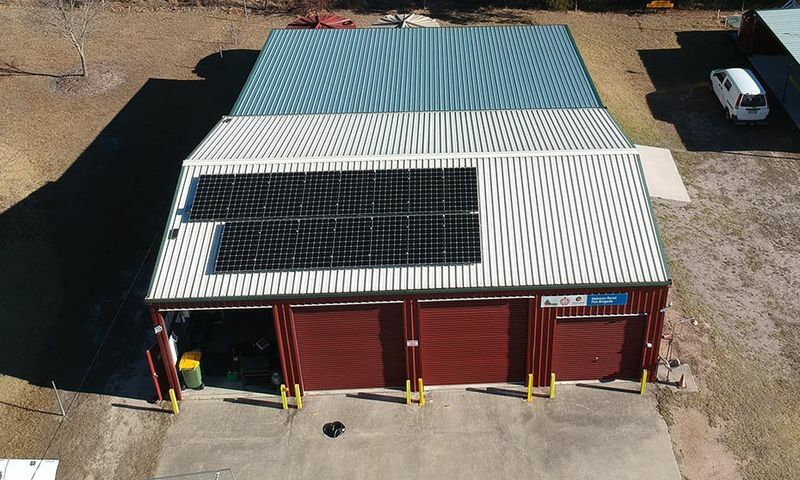 The client wanted a solar system for rural fire brigades that would be long lasting, requires minimal maintenance, was safe, versatile, expandable, able to be monitored and has high production. They required the same system over numerous sites that needed different layouts, with some sites having shading issues (trees, aerials etc), and some being in remote locations. The client’s aim was to reduce their running costs and to do their bit for the environment. At Excel Power we specialise in the installation of Enphase systems coupled to LG solar panels, which fitted the brief of the client. The safety aspect of the Enphase system, in which Enphase microinverters offer the most advanced inverter technology on the market, means a safer system, higher production, greater reliability and unmatched intelligence. It has a client friendly easy to use monitoring platform, with numerous reporting options, and fleet management. Enphase microinverters run at a maximum of 60 Volts, making the chances of an electrical shock close to zero. With Enphase microinverters, there will never be high voltage on your roof, which you could have with conventional string inverter systems. In addition, string inverter systems require DC isolator switches to be installed as a safety measure to protect from high voltage DC. However, multiple news reports link DC isolators of those conventional string inverters to overheating incidents and risk of fire. Numerous recalls of DC isolators have been made over the past few years resulting in loss of production for clients and also costs for installers to return to site to repair. 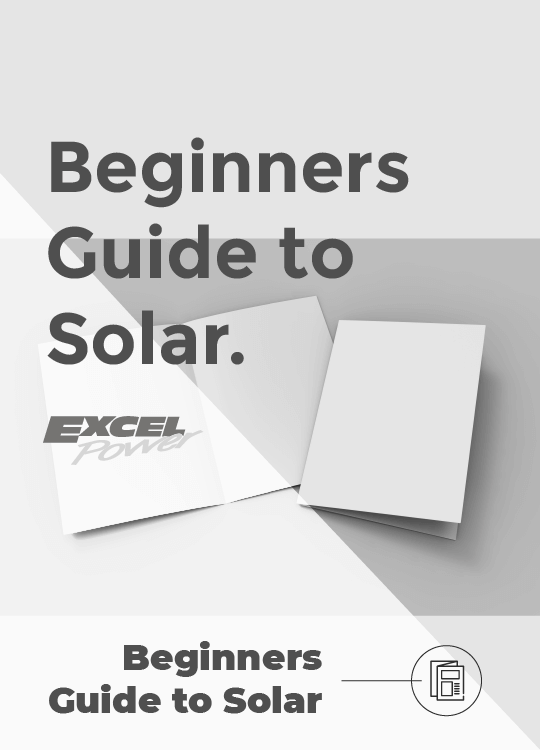 Excel Power audited each site individually prior to installation. This was to ensure that the correct system was selected for each site, and a solar system was designed to suit each building. We then coordinated with each site when the installation would be suitable for both parties. Specific site risk assessments were performed on each station before any work started. All installations went smoothly, and a final folder and handover was done after each installation to the First Officer of each station. This was to ensure that each fire station was trained in for the solar system worked, and how to shut it off in an emergency situation. Excel Power can monitor these systems remotely which can help to identify any potential failures without the need to travel to site to investigate further, saving valuable time especially in remote locations. 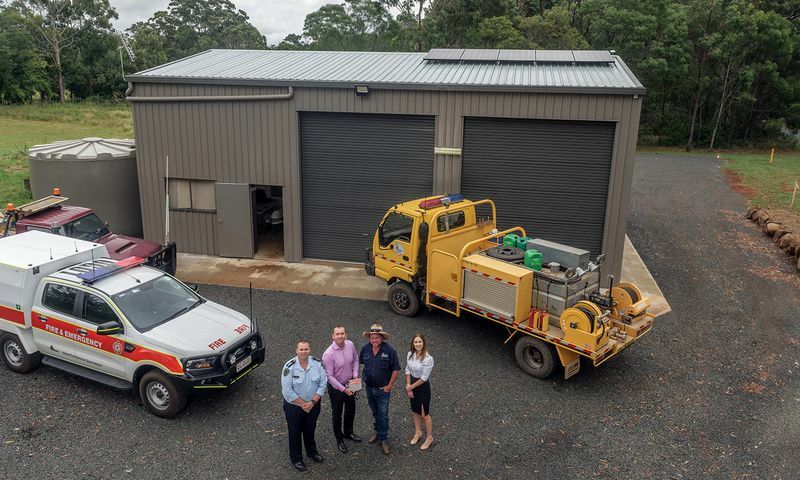 Excel Power continually communicates with the Rural Fire Service stations to make sure their solar system is working to its full potential. With Enphase monitoring, it is easy for the Regional Manager to see the cost savings provided by each system, but also now can see where sites can save energy. This project has enabled Excel Power to continue its training for staff in renewable energy, energy management and electrical. We have also provided an education program with the members of each brigade outlining system operation and safety, monitoring of the system and basic benefits of renewable energy.